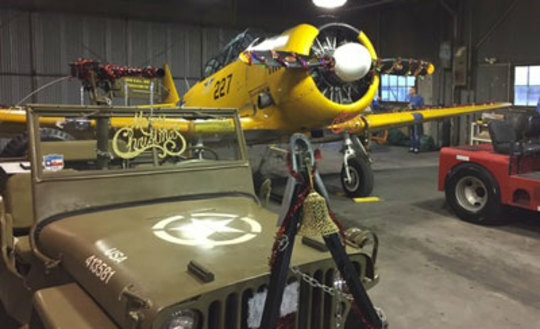 HEBER CITY, Utah - The Utah Wing of the Commemorative Air Force (CAF) Museum re-opens for the 2019 season May 4th. 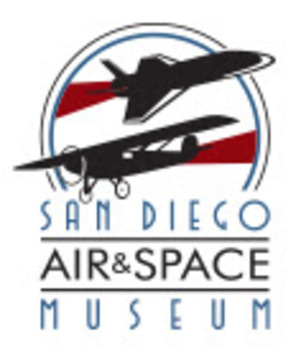 The museum will be open May – October, 10am-4pm, Saturdays and Sundays or by appointment. 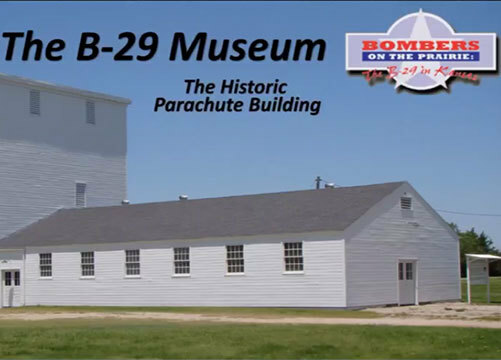 The museum is located at the Heber City, Utah airport. The CAF is a non-profit all volunteer organization. 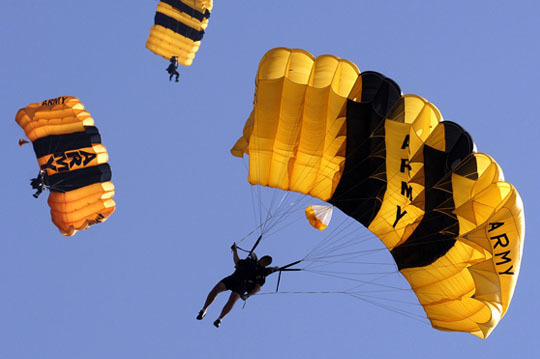 PEACHTREE CITY, Ga. (April 15, 2019) – The record-setting U.S. Army Golden Knights aerial demonstration team will display its acclaimed parachuting skills Saturday and Sunday afternoons, April 27 and 28, at the World War II Heritage Days weekend in Peachtree City. Ga. The team performs at more than 100 events per year and has earned 2,148 gold, 1,117 silver, and 693 bronze medals in national and international competition. 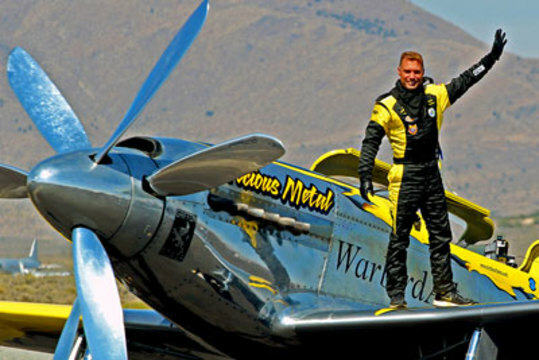 Team members also have set 348 world records. 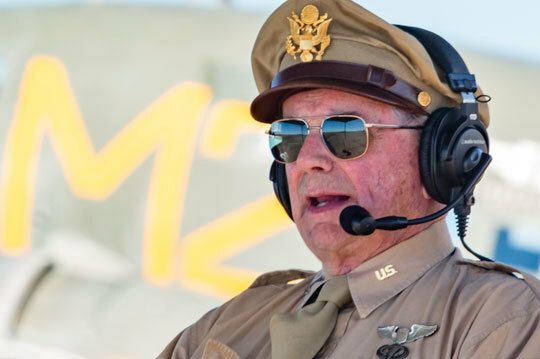 April 5, 2019, Lakeland, FL – The Commemorative Air Force (CAF) announced April 5 that Phillips 66 Lubricants will sponsor the iconic World War II aircraft, C-47 That’s All, Brother. 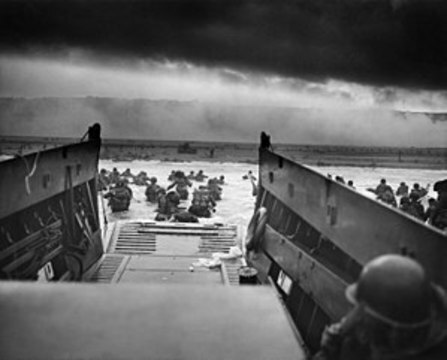 This summer, That’s All, Brother will participate in the 75th Anniversary of D-Day and participate in a series of commemorative ceremonies. 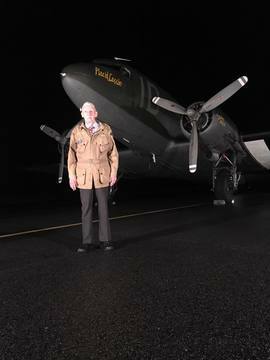 The sponsorship is part of a grand effort to support this historical aircraft’s monumental journey across the North Atlantic to return to Europe and retrace the flight across the English Channel to Normandy. 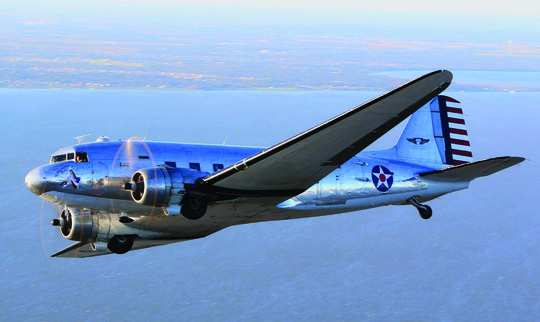 COMMEMORATIVE AIR FORCE HIRES NANCY MCGEE NEW VICE PRESIDENT OF EDUCATION! 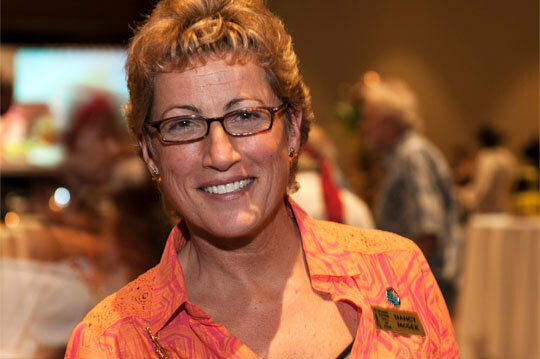 April 3, 2019, Dallas – The Commemorative Air Force (CAF) is pleased to announce and welcome Nancy McGee as the organization’s new Vice President of Education. 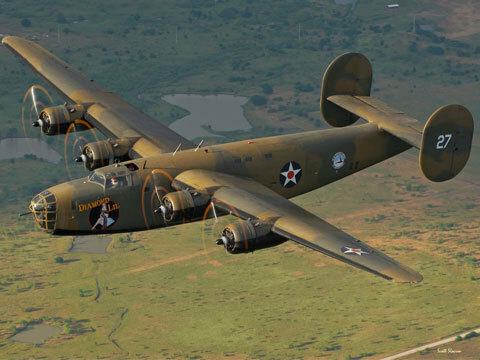 The CAF, the world’s largest flying museum, has more than 60 years of experience in preserving, flying and exhibiting World War II aircraft. 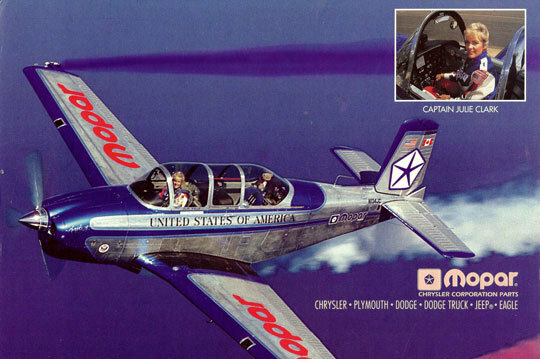 The CAF began its informal education program back in the 1960s with its first airshow. 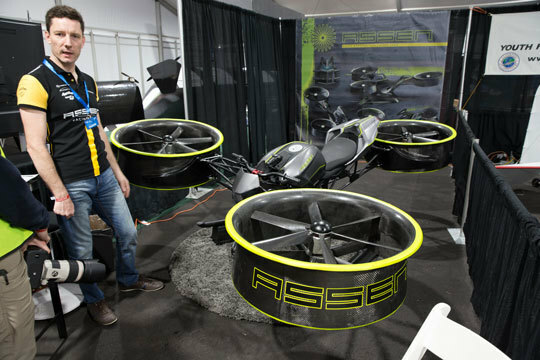 Using the flying aircraft at the show to tell a story and to explain the importance of American military aviation history to others. 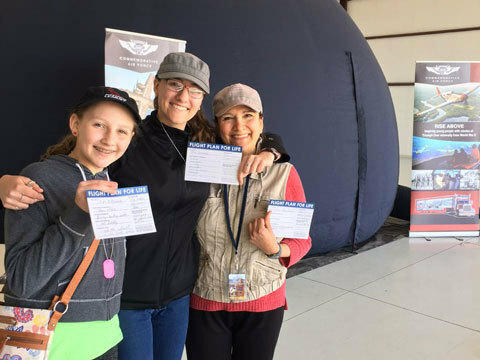 February 22, 2019, Dallas- The Commemorative Air Force (CAF) RISE ABOVE: Red Tail Leadership is proud to announce the expansion of its educational outreach program to include the story and experience of the Women Service Air Force Pilots (WASP). 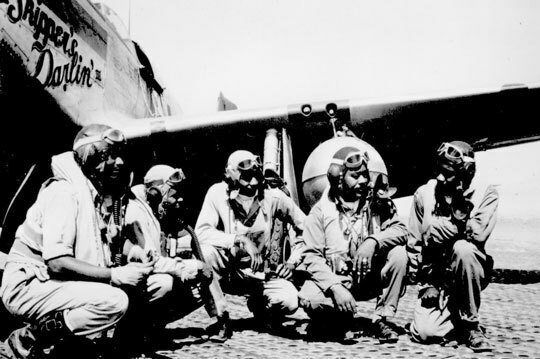 For eight years the CAF Rise Above Red Tail Traveling Exhibit has traveled across the country inspiring people from all walks of life with the history and lessons of the Tuskegee Airmen, the U.S. military’s first African American aviators. March 22, 2019- Several CAF aircraft are stretching their wings ready to take airshow season on. Some even got a new look, check out some recent restoration updates and photos. 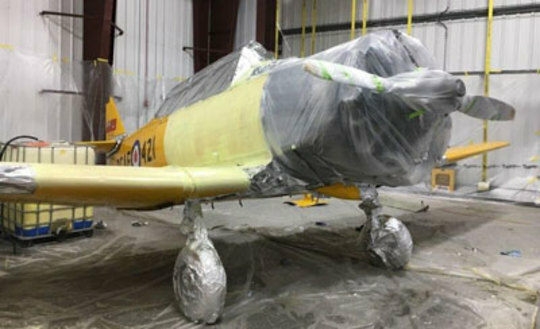 Some of the CAF aircraft have already taken off for the 2019 Airshow season. You can see more about these tour stops by checking out the events page. 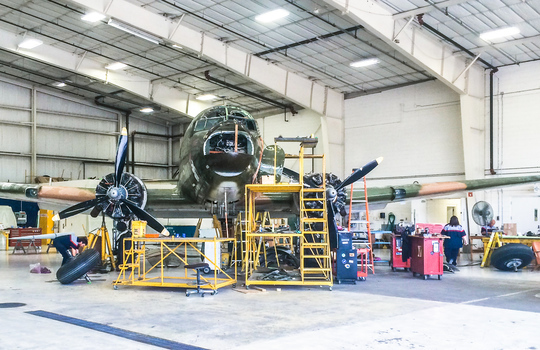 If you want to keep up on stories like these restorations, please subscribe to our news email list a the bottom of this page. 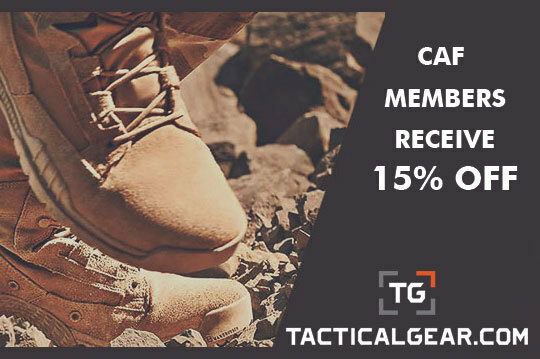 CAF Members automatically receive this news via email. 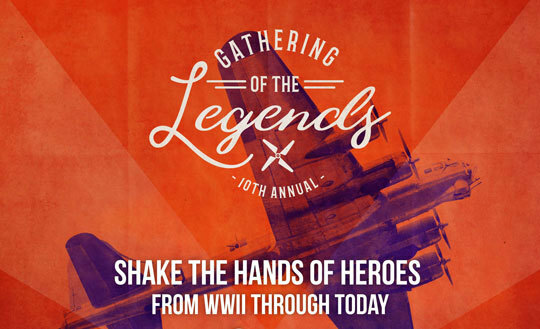 **DENVER & BOULDER, Colo. March 05, 2019 **-- The 1940s WWII Era Ball, an event that turns back the clock to celebrate our nation’s heroes, patriotism, sophisticated fashion, and the swinging, sentimental sounds of big band orchestras returns for it’s 11th annual 1940s vintage-style gala on Saturday, June 15th, 2019, at the Boulder Airport. 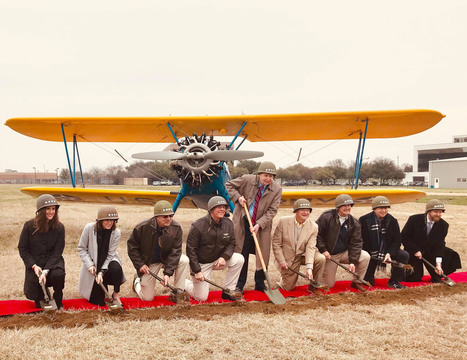 DALLAS (March 1, 2019) – The Commemorative Air Force (CAF) held a ground-breaking ceremony to celebrate the start of construction and the naming of its $8 million, 47,000-square-foot National Aviation Education Center at Dallas Executive Airport. 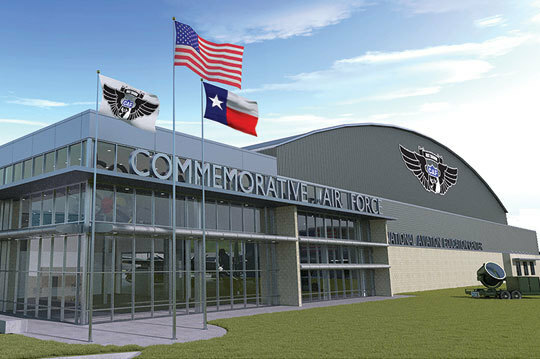 The educational center will include a STEM Innovation aircraft hangar, classrooms and exhibit space. This building is the first phase of the organization’s plans for an aviation campus, called the CAF National Airbase. 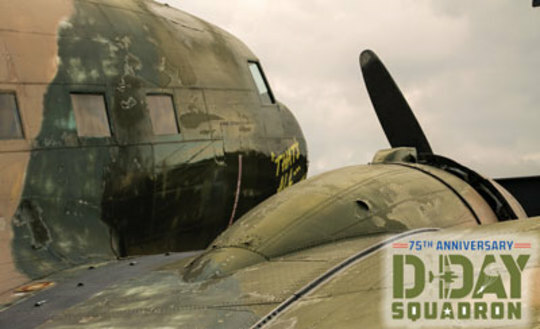 To learn more about other aircraft from the U.S. going as part of the D-Day Squadron, you can learn more when you Click here to go to the D-Day Squadron website. 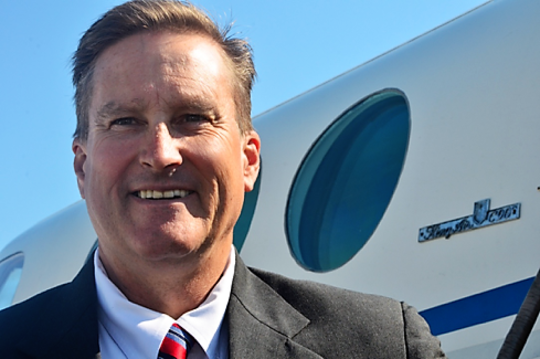 On March 2, 2019, the Commemorative Air Force will induct three deserving individuals into the organization’s Hall of Fame. 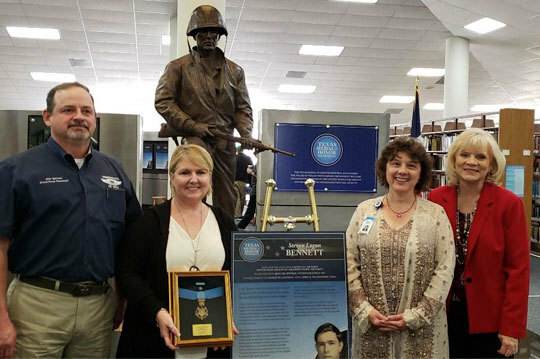 Only those that have devoted considerable time and effort to help to sustain and grow the organization are considered for this high honor. 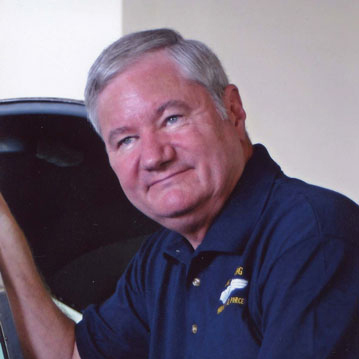 This year the CAF will induct Randy Wilson, J.W. Don Johnson, and Walt Estridge (posthumously). 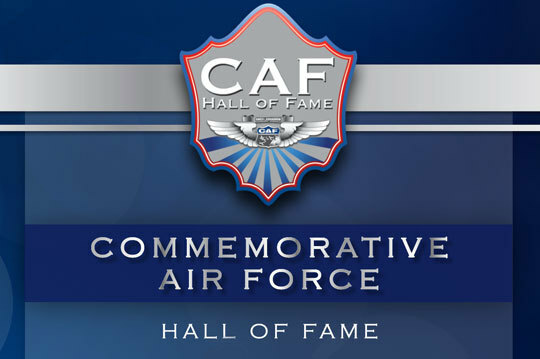 Information about attending the CAF Hall of Fame Induction Ceremony and Banquet are found at this link. 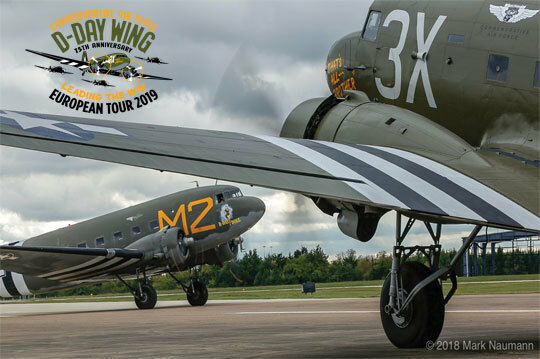 PEACHTREE CITY, Ga. (Jan. 28, 2019) – Two historic Douglas C-47 Skytrain troop transport aircraft will highlight this year’s World War II Heritage Days, hosted by the Commemorative Air Force (CAF) Dixie Wing April 27-28, 2019 at Atlanta Regional Airport (Falcon Field) in Peachtree City. 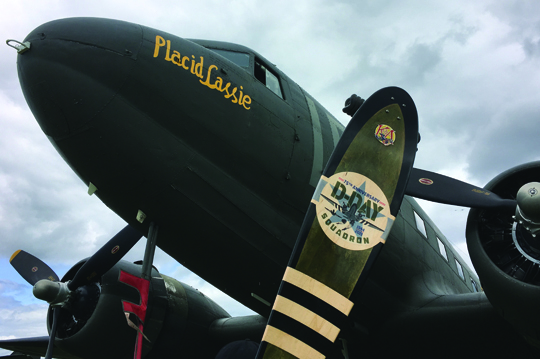 The C-47 That’s All, Brother was recently restored to its original configuration by the CAF, with help from a national Kickstarter funding campaign, and Placid Lassie was previously restored and has appeared at numerous aviation events. 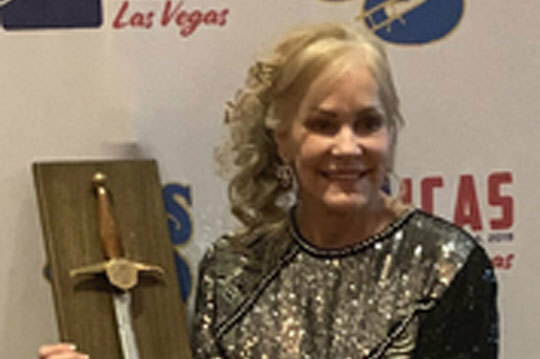 Longtime CAF Member and air show performer Julie Clark was recognized as the 2018 recipient of the prestigious ICAS Sword of Excellence during ceremonies last week in Las Vegas at the ICAS convention in December of 2018. 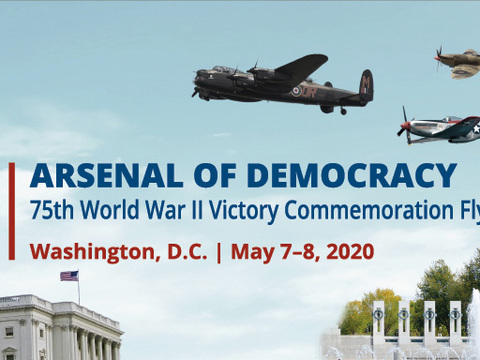 Washington, DC, January 7, 2019 –– The Arsenal of Democracy Executive Planning Committee today announced that it is planning a second Arsenal of Democracy Flyover that will take place on Friday, May 8, 2020, to commemorate the 75th anniversary of the end of World War II (WWII) in Europe. 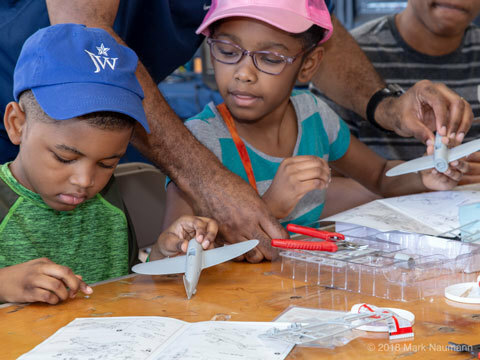 CAF Wings Over Houston Announces TWO Demo Teams in 2019! (Houston, TX, January 7, 2019) - Full-Tilt Awesome is Inbound – Houston! 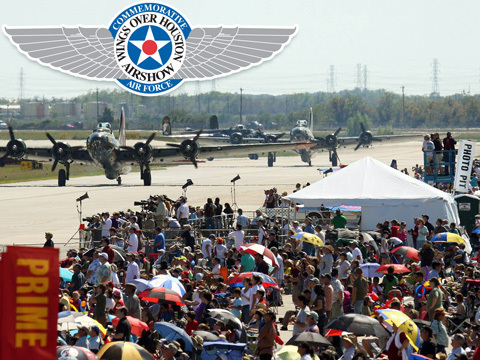 That means you get not ONE, but TWO National Military Jet Teams at CAF Wings Over Houston 2019! 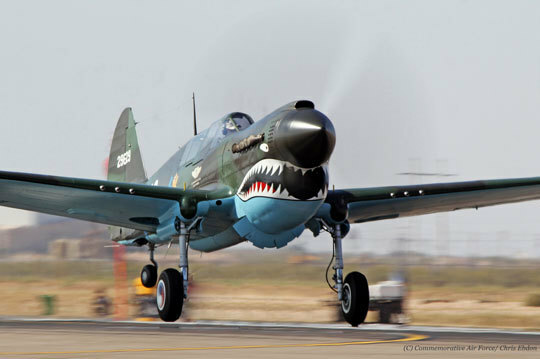 Announcing the 2019 CAF Wings Over Houston Airshow, October 19 & 20, 2019! 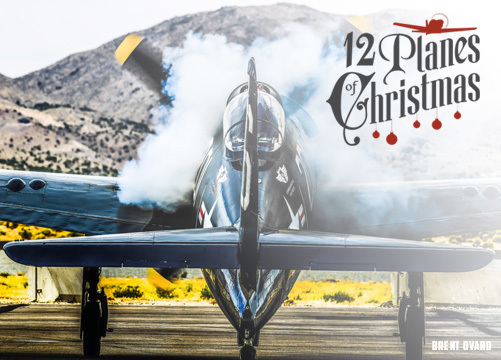 Next year you will get to experience not one, but TWO military jet demonstration teams … the United States Air Force Thunderbirds and the Canadian Forces Snowbirds! 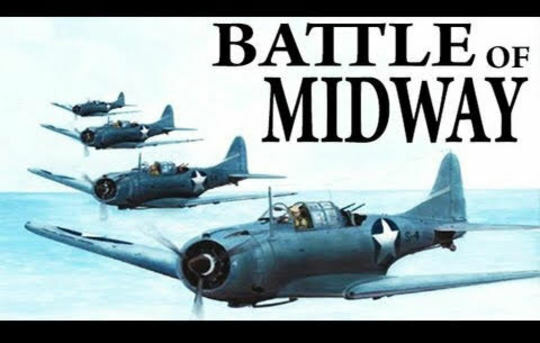 Plus, a bevy of some of the best military and civilian pilots in the world, flying for you. Unit Award Nominations are due by January 31st! 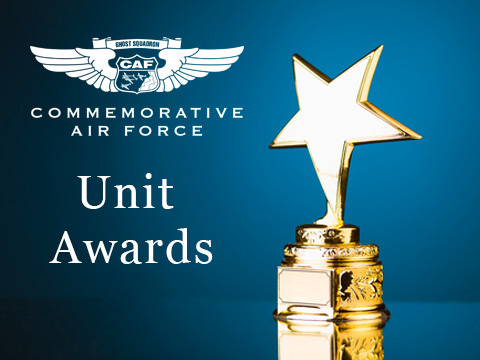 January 2, 2019, Dallas, TX - It is time to send in Unit Award nominations! The national level awards program is intended to recognize contributions that have been extraordinary and have brought national recognition to the accomplishments of Units. For award criteria and sample citations, please see CAFR 900-1 CAF Awards and Decorations. Nominations for Units are due by January 31st! If you have any questions, please contact Donna Blalack, dblalack@cafhq.org. (Peachtree City, GA, December 19, 2018) - Have you been looking for a unique holiday gift for that hard to shop for person on your list? Or, are you interested in owning a piece of history for yourself? We have just the thing. 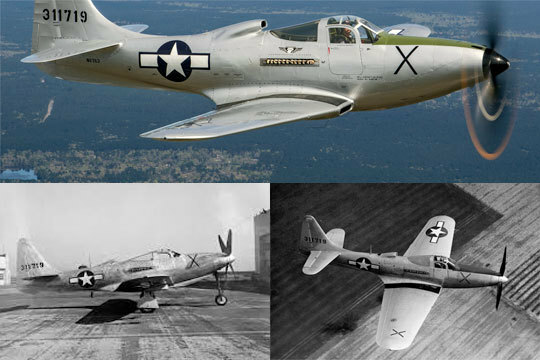 How about a piece of the famed WWII P-51 Mustang named Red Nose? 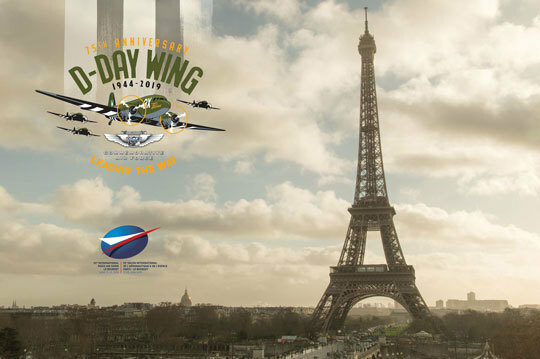 **(December 5, 2018 - Paris, France) **- CAF French Wing is proud to present the latest issue of its documentary series, History and Duty of Remembrance. 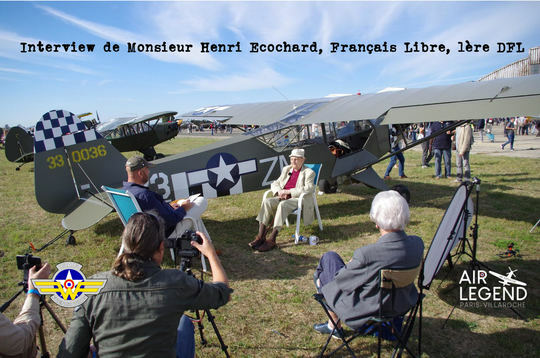 In this episode, Stephane Duchemin receives Mr. Henri Ecochard, Free French and Piper L-4 pilot. 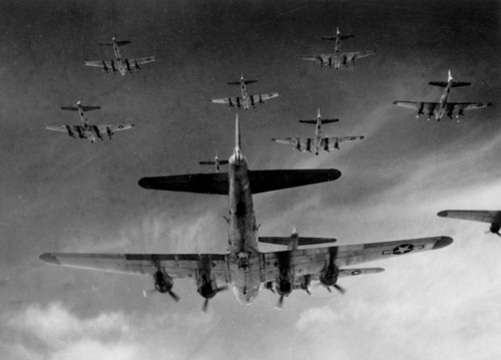 Oxford, Conn. – December 3, 2018 – The National Warbird Operator Conference (NWOC) announced a strategic partnership with the D-Day Squadron, offering the group the opportunity to make a presentation on their mission during the NWOC annual convention. 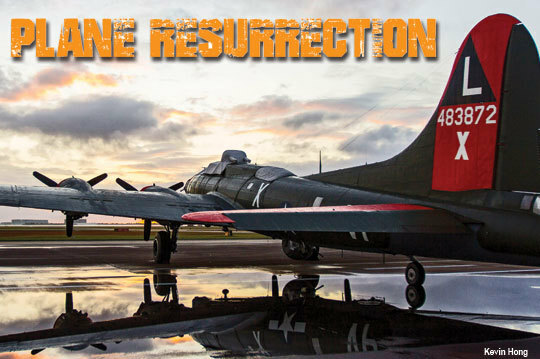 **CLEVELAND, OHIO, November 26, 2018 - **The producers of the Emmy Award winning PBS hits Beyond The Powder and Red Tail Reborn now have a new historical aviation series available online to the U.S.; The Restorers – Season 1. The documentary series is now available through Amazon Prime streaming service. For some the holidays can be a stressful time of year. 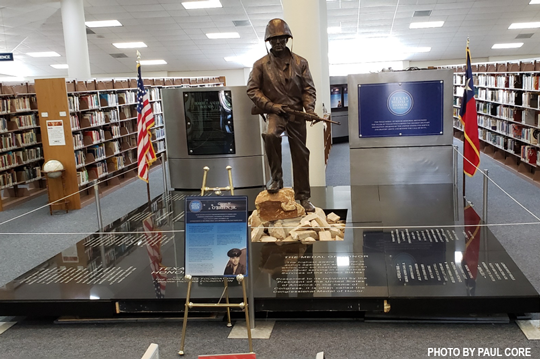 The Military Guide recently published a list of resources for those who have served or are currently serving in the U.S. military. Here is a list of resources. 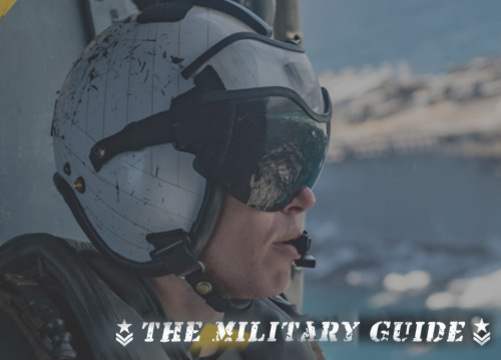 To learn more about The Military Guide visit- http://themilitaryguide.org/. 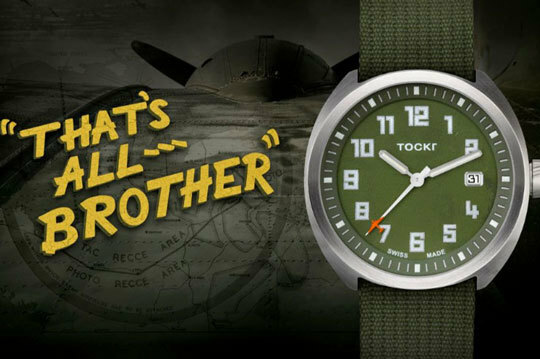 Dallas, TX /Austin, TX (November 1, 2018) – Tockr and The Commemorative Air Force (CAF) have teamed up to create a series of watches made with rescued material from a historic C-47 known as That’s All, Brother, that lead the D-Day invasion. 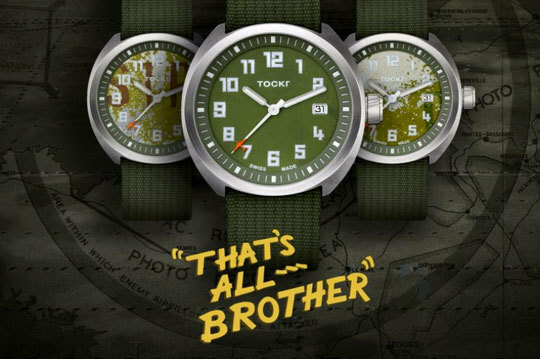 These limited-edition watches preserve vital history under each dial and contribute to CAF’s mission to fully restore the airplane to its original 1944 configuration. 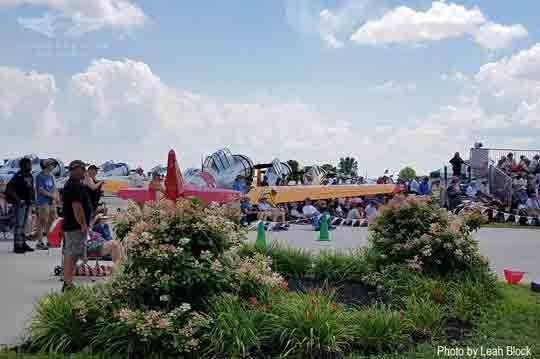 EAA AVIATION CENTER, OSHKOSH, Wisconsin — (November 1, 2018) — EAA is offering a limited number of complimentary exhibit locations for cutting-edge companies that seek to bring new products to EAA AirVenture Oshkosh 2019, The World’s Greatest Aviation Celebration. 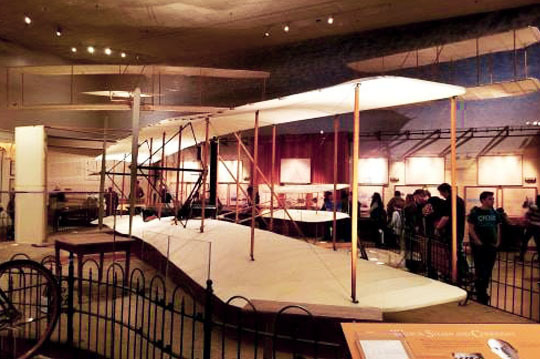 The 67th annual Experimental Aircraft Association fly-in convention is July 22-28 at Wittman Regional Airport in Oshkosh, Wisconsin. 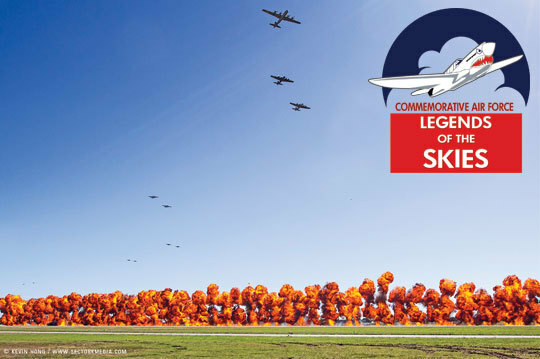 Red Wing, Minn. – October 31, 2018 – The Commemorative Air Force (CAF) Red Tail Squadron, America’s tribute to the Tuskegee Airmen, announced today that they have published the first-ever complete, up-to-date and searchable Tuskegee Airmen Pilot Roster available to the public online. 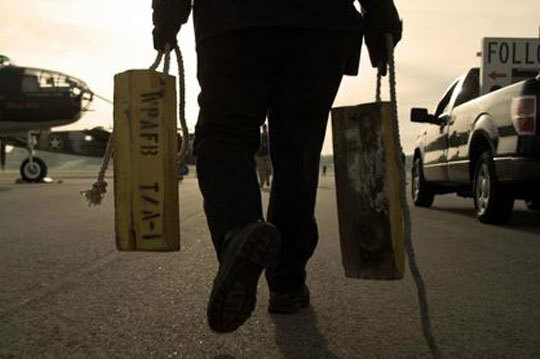 The database contains details of the 1,007 pilots to receive their wings through the Tuskegee Airmen program. 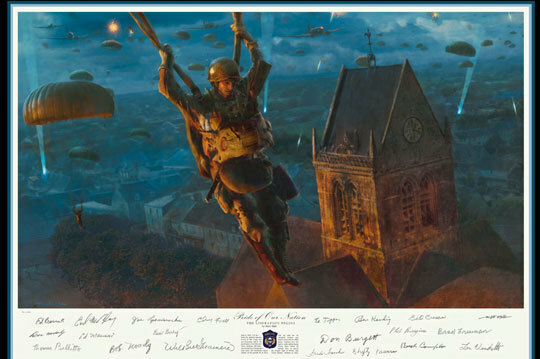 Search the Pilot Roster on the CAF Red Tail Squadron website at redtail.org. 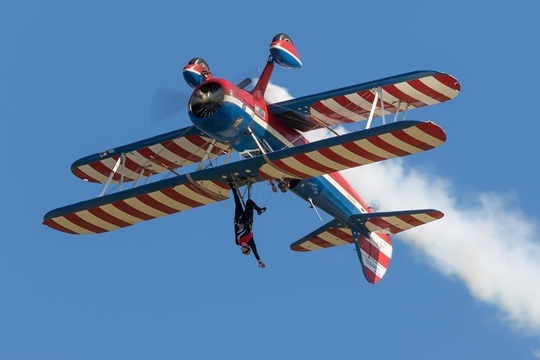 JULIE CLARK ANNOUNCES THAT THE 2019 AIR SHOW SEASON WILL BE HER “FAREWELL TOUR”, MARKING THE COMPLETION OF HER AMAZING 41-YEAR CAREER AS A SOLO PERFORMER! 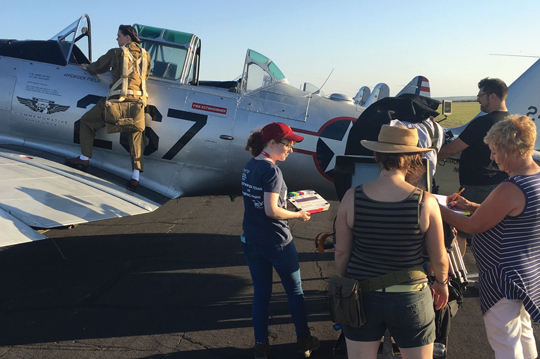 October 18, 2018, Chico, California- Throughout the years, airshow performer Julie Clark has entertained countless millions with her beautifully choreographed routine, touching her fans with her special blend of skill, artistry, music, humor and patriotism with every performance! 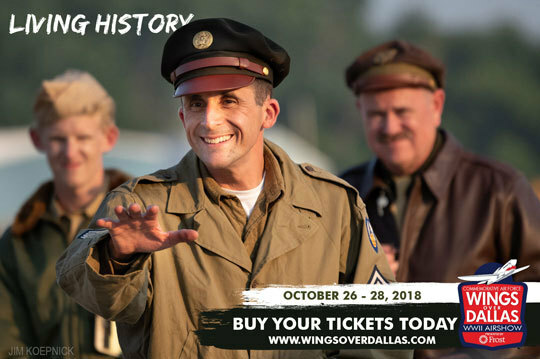 **Dallas – October 18, 2018 – **In conjunction with CAF Wings Over Dallas, the largest WWII airshow in North Texas, the Commemorative Air Force (CAF) will bring together luminaries of both the aviation and military history world to celebrate the enormous contributions of Texas heroes at their second annual Legends of the Skies awards luncheon on Friday, October 26. 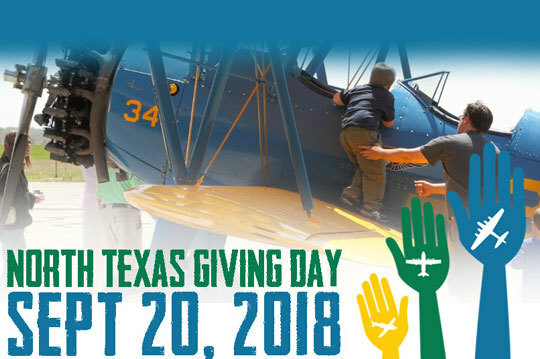 October 1, 2018, Dallas, TX - With the restoration of C-47 That’s All, Brother great care was taken to preserve every piece of the aircraft, including the aluminum skin that had to be replaced. Pitted with corrosion, the panels were carefully removed and put aside. 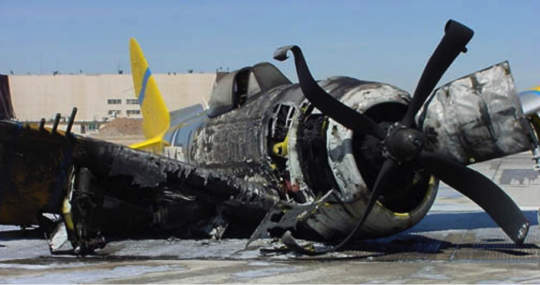 Mechanics were instructed to save every piece of scrap they remove. 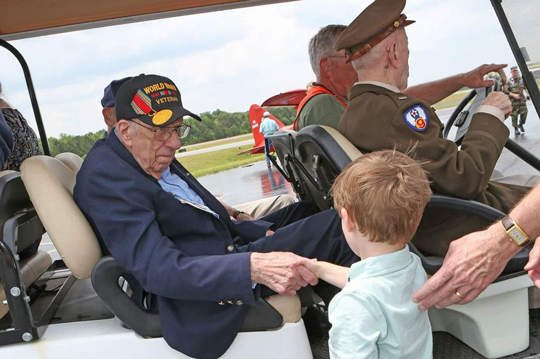 PEACHTREE CITY, Ga. (Sept.12, 2018) – The Commemorative Air Force (CAF) Dixie Wing hopes to have at least 75 WWII veterans attend to help commemorate the 75th anniversary of the D-Day invasion of Europe next spring. 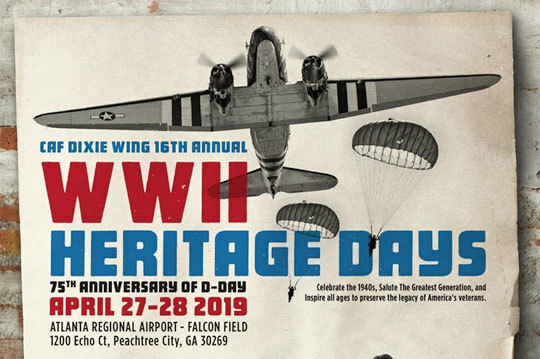 The historic event will be commemorated around the world in 2019, including the 16th annual WWII Heritage Days, April 27-28, 2019, at Atlanta Regional Airport-Falcon Field in Peachtree City. 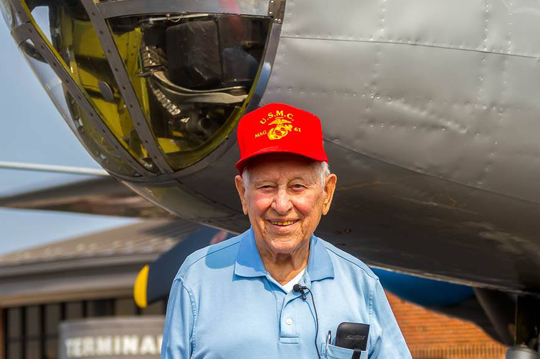 WWII Veteran Honored with Flight on B-25 Mitchell "Maid in the Shade"
AUGUST 27, 2018 Leesburg, VA – CAF Airbase Arizona B-25 Maid in the Shade arrived in Leesburg this week as part of the CAF Flying Legends Victory Tour. 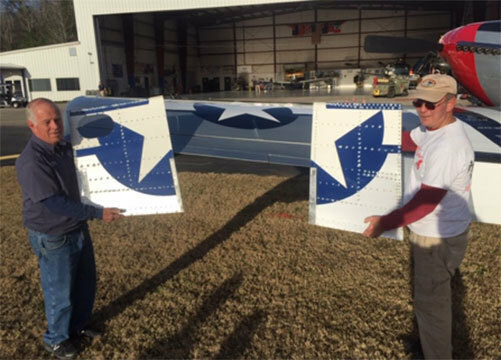 There they joined with the Culpeper, VA based CAF Capital Wing, which flew their TBM Avenger Doris Mae. 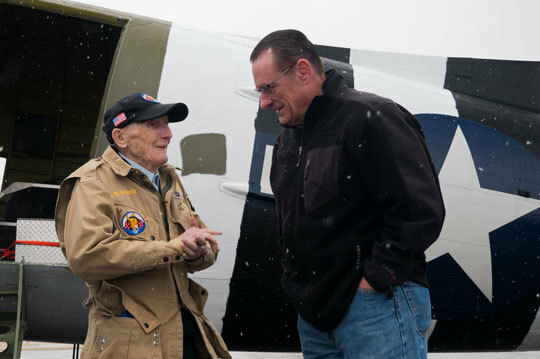 Soon after arriving at Leesburg Executive Airport, The CAF Airbase Arizona members had the honor to welcome 98 year old World War II veteran, SGT. Stu Allen and his family, aboard the B-25 Maid in the Shade. 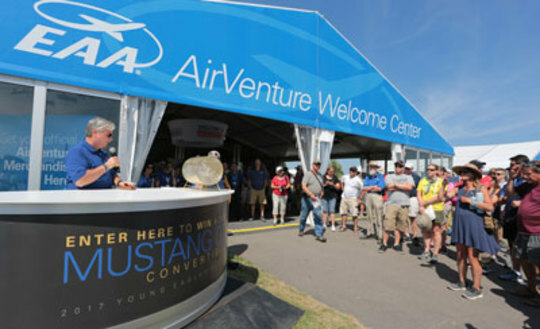 EAA AVIATION CENTER, OSHKOSH, Wisconsin — (June 12, 2018) — The cutting-edge technology and products that will drive general aviation’s next generation come together at EAA AirVenture Oshkosh 2018 on Tuesday, July 24, with a full Innovations Day of programming and events on the AirVenture grounds. 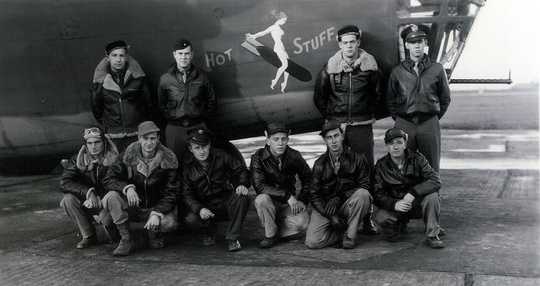 A stone and stainless steel monument will be dedicated on May 3, 2018 honoring Americans who died in the crash of the B-24 Liberator called Hot Stuff in inclement weather near Grindavik, Iceland on May 3, 1943. 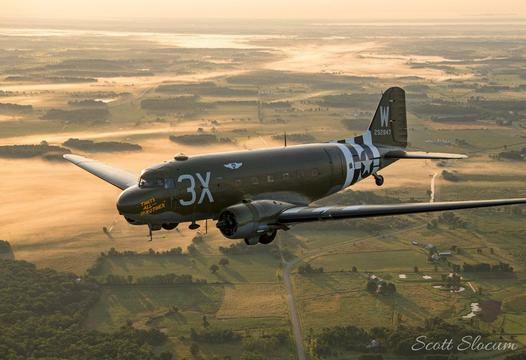 The Commemorative Air Force (CAF), a non-profit flying museum, announces that the aircraft that led a formation of more than 800 C-47s to Normandy to drop paratroopers on D-Day, will take its first flight since the restoration began. 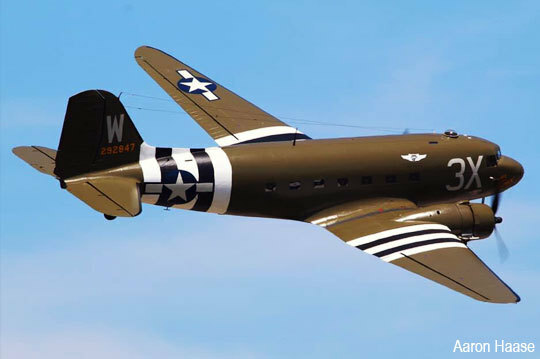 On January 31, 2018, at 1 p.m. CST in Oshkosh, Wisconsin, D-Day C-47 That’s All, Brother will return to the sky. 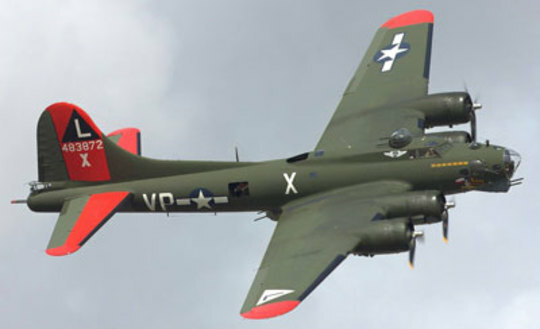 PEACHTREE CITY, Ga. (Jan. 29, 2018) - A restored B-17 Flying Fortress, “Texas Raiders”, will arrive in Atlanta for the 15th annual World War II Heritage Days April 21-22 at the Atlanta Regional Airport – Falcon Field in Peachtree City, Ga. 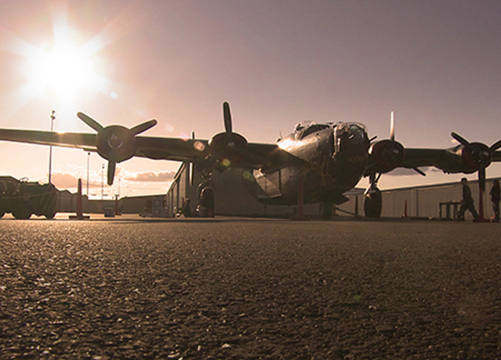 Ground tours will be available, and rides can be purchased for flights Friday through Sunday, April 20-22.